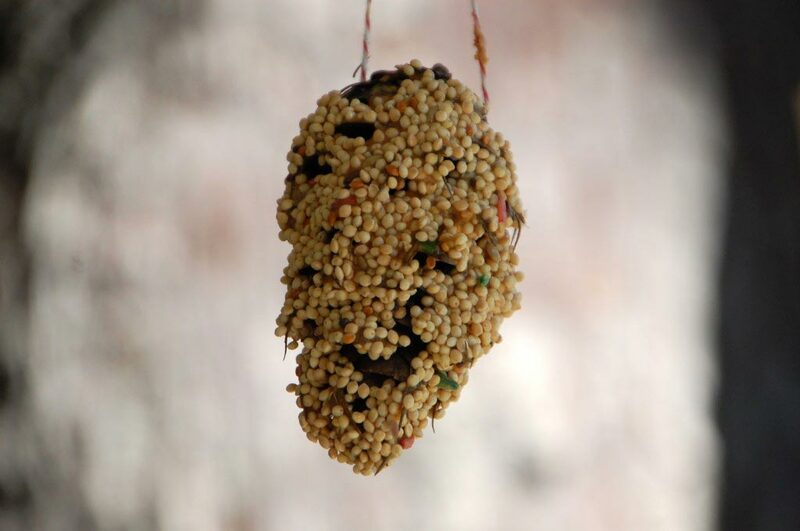 We love spotting birds in our garden especially in the Spring so today we thought we’d share some fun ways to make your own bird feeder using supplies you should already have at home. We’ve got ideas for using toilet paper rolls, juice cartons and even Cheerios! 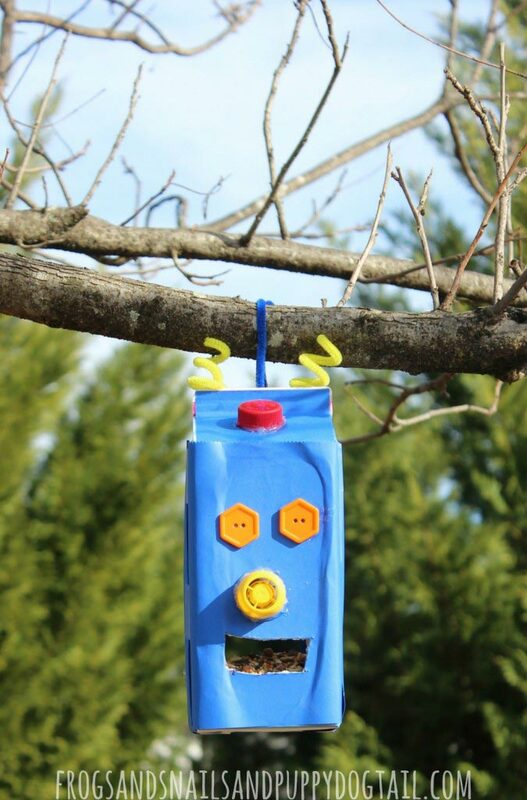 Robot Juice Carton Bird Feeder – Oh how adorable is this? 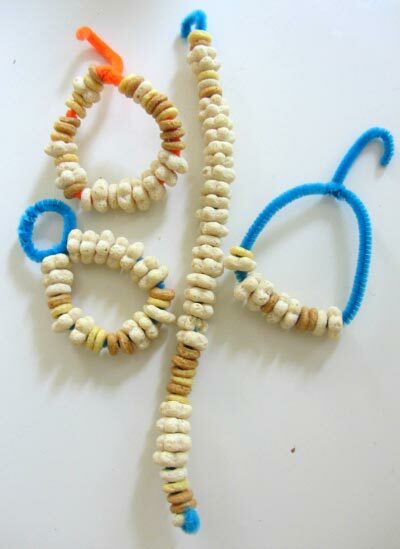 A bird feeder crafts older kids can enjoy making, and the younger ones could help make one too. And it’s so bright and colourful! 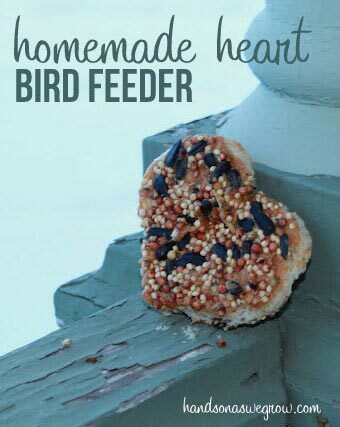 Homemade Heart Shaped Bird Feeder – Well I never would have thought of using some toast as the base of a bird feeder! 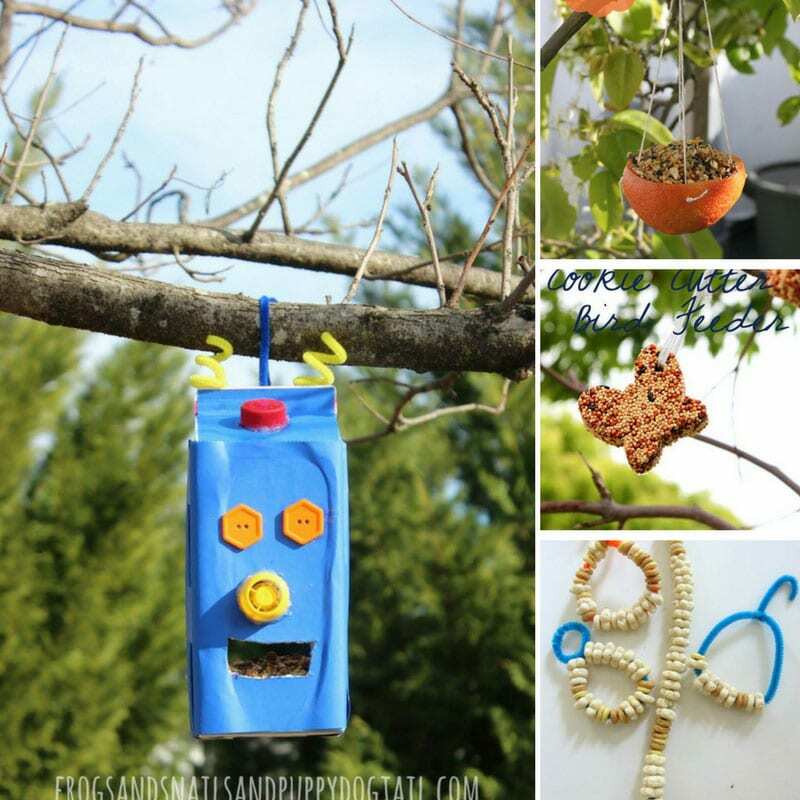 Bird Feeder – I love crafts that are super simple but have some usefulness, and these bird feeder tick all the right boxes! 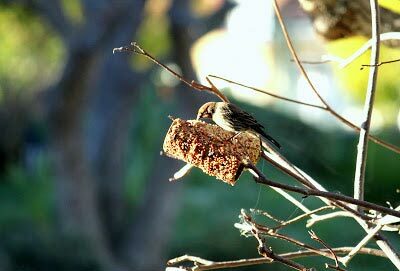 Toilet Paper Roll Bird Feeder – Stop! Don’t throw away that toilet paper roll! 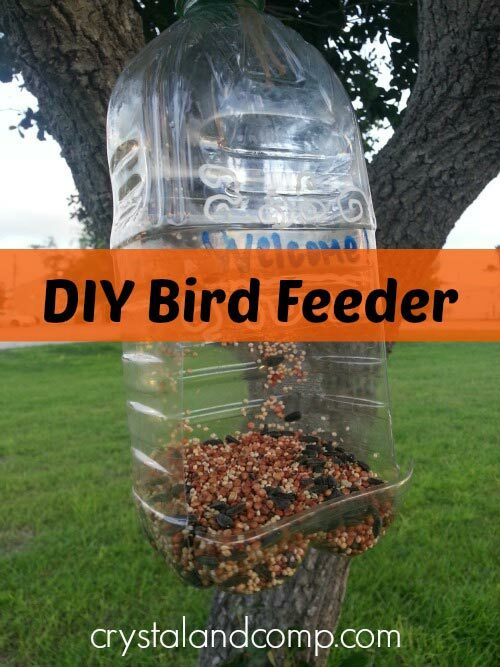 You can turn it into a bird feeder. 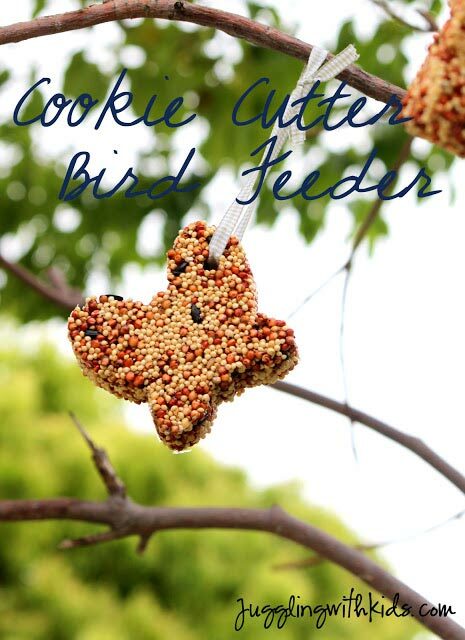 Cookie Cutter Bird Feeder – These bird feeders will look absolutely adorable hanging from the trees! Perfect craft for toddlers and preschoolers. Homemade Orange Cup Bird Feeders – Here’s a bird feeder craft that is simple enough for the youngest of toddlers to enjoy making. 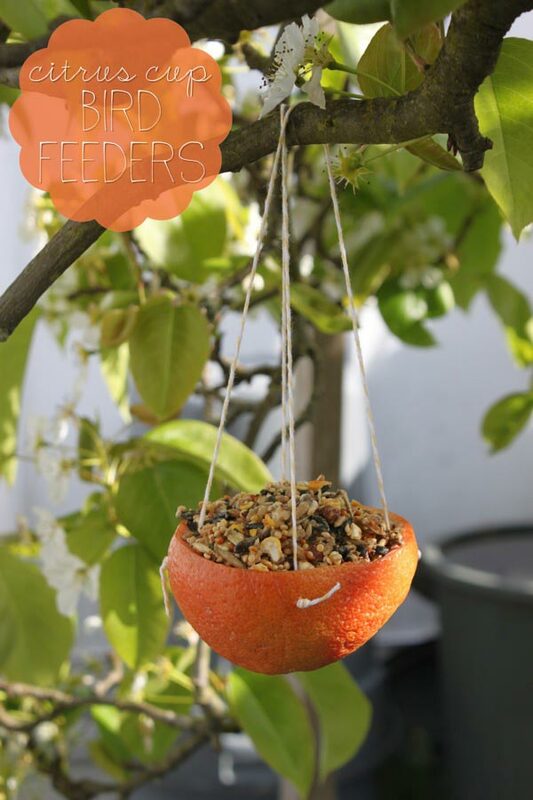 Bird Feeder – Oh my, the birds will think it’s Christmas when they set eyes on this feast! 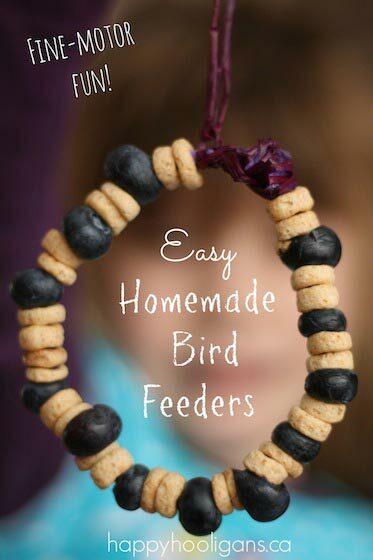 Bird Feeders with Cheerios and Blueberries – If you can convince your little ones to “share” their snacks with the birds this bird feeder is a great way to practice threading skills. How to Make a Bird Feeder – Stop! Don’t throw that huge plastic bottle away! With a few alterations, it will make a great bird feeder. 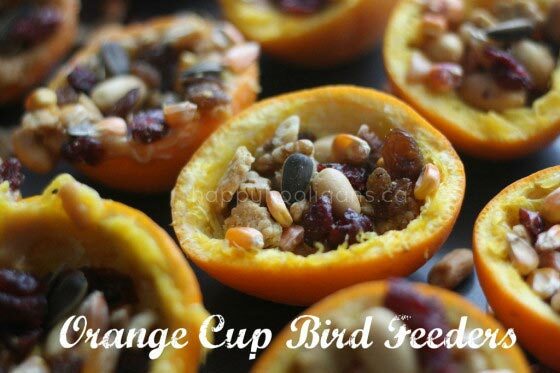 Citrus Cup Bird Feeders – This bird feeder is made from a simple citrus cup, older kids will enjoy putting it together while the little ones can practice filling it up with seeds for the birds. If you enjoyed this collection of bird feeder crafts why not check out our owl crafts and flower craft collections too! 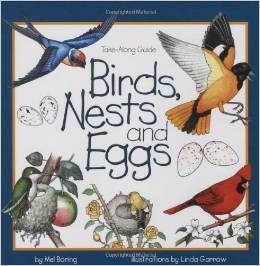 Birds, Nests & Eggs (Take Along Guides) by Mel Boring – This is a fun and informative guide that your child can take along on nature walks, or use in the backyard to try and spot the 15 birds from the book. They’ll learn all about how they build their nests and look after their young. There’s a seven page scrapbook included inside so your child can start a nature journal and draw what they see. 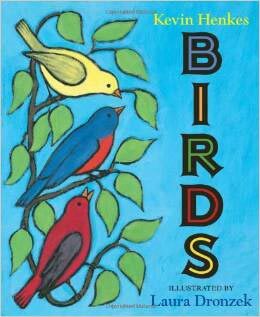 Birds by Kevin Henkes, Laura Dronzek – This book is the perfect choice for toddlers and preschoolers. It helps them to learn that birds come in all sizes, shapes, and colours. Birds are magic. Birds are everywhere. If you listen very carefully you will hear them, no matter where you live. And if you look very closely you will see them, no matter where you are. And if you can’t go outside right this minute, you can always read this book!